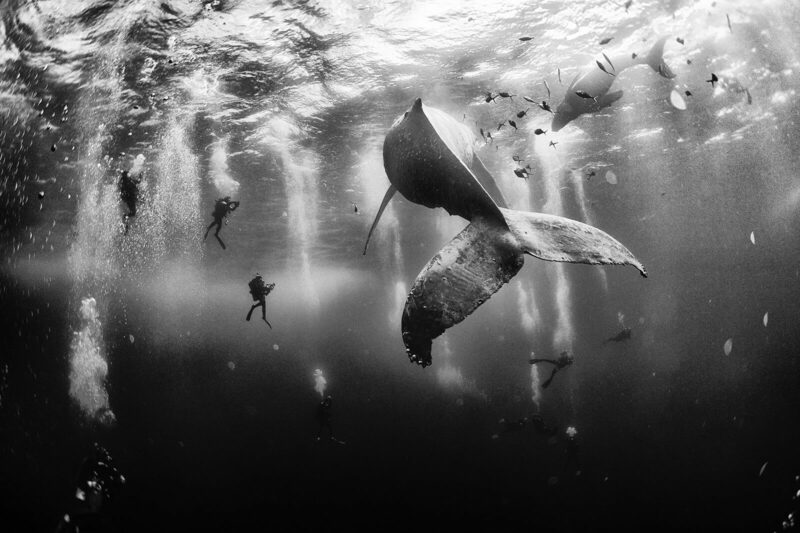 According to Anuar Patjane Floriuk, who snapped this photo, it came about as an unplanned shot as the whale moved away from him and towards the group of divers. This was taken from Roca Partida, off the western coast of Mexico. There were over 17,000 entries for the National Geographic Traveler Photo Contest so this was not an easy feat to win the grand prize, which includes an eight day National Geographic Photo expedition to Costa Rica and the Panama Canal for two. We think it is well deserved!